Net profit at Mahindra and Mahindra, and Mahindra Vehicle Manufacturers (MVML) rose 7 per cent in the December quarter over a year ago period, the company said on Friday. The earnings were boosted by robust growth in tractors even as higher raw material expenses and high discounts in passenger vehicles and lower commercial vehicles sales weighed on its margins. The maker of XUV 5OO and Arjun tractors reported a net profit of Rs 12,892 crore during the quarter over Rs 11,491 crore crore a year ago. “It was a challenging quarter for tractors, passenger vehicles and commercial vehicles as several negatives came together,” said Pawan Goenka, managing director at Mahindra and Mahindra. He attributed it to unfavourable end to the monsoons which led to a muted festive season. A lower off-take at the dealerships during the festive months left them with unsold stocks prompting manufacturers to offer steep discounts. Led by an increase in raw material expenses that the company was unable to pass on to the buyers, owing to weak market conditions, Mahindra’s operating margins during the quarter contracted to 13.2 per cent from 14.7 per cent in the year ago-quarter. While a 40-basis-point impact on the margins was due to higher discounts on the passenger vehicles, the remaining was owing to higher raw materials, said Goenka. Average discounts on Mahindra’s passenger vehicle models inched up by 6 to 8 per cent over the same quarter last year. During the quarter the Mumbai-headquartered firm sold told of 133,508 units including passenger vehicles, commercial vehicles, three wheelers, an increase of 10 per cent over the last year. Tractor volumes also advanced by a robust 13 per cent to 87036 units over the last year. The commercial vehicles sales got adversely impacted because of the liquidity crisis facing the financiers. The introduction of the new axle norms which allows goods carriers to load 25-30 per cent higher loads than earlier also had an impact on CVs. Goenka expects the impact of axle norms to wear off in the coming months and truck sales to bounce back by April. Owing to a high base, He, however, remains cautiously optimistic on the tractor sales. During the quarter M&M’s tractor sales grew at 13.2 per cent slower than the industry. The industry volumes grew 19.2 per cent. Owing to the recent slowdown, M&M has pared the growth forecast for the tractor industry from the earlier 12 per cent to 10 per cent for FY19. He estimates tractor sales to be flat in the current quarter. “If the monsoon forecast is good, tractor sales will start improving again. But do not expect tractor sales to be in double-digits even in the next fiscal as the industry has been growing at a brisk pace for the last three years,” said Goenka. Meanwhile, M&M is optimistic of the passenger vehicles business and expects new launches to give it a boost.The company will launch the compact sports utility vehicle offering, XUV 3OO, on 14 February. To be pitted against the Vitara Brezza, Ford EcoSport, Tata Nexon, among others, the XUV3OO is expected to be a volume spinner for the company. Goenka said, since opening the bookings for the model last month, it has received an order of close to 4000 units. With the XUV300 and the Alturas and Marazzo, Mahindra is hoping to increase the monthly run rate of its passenger vehicles by 9000 units. Since its launch in September, it has sold close to 15000 units of the Marazzo. 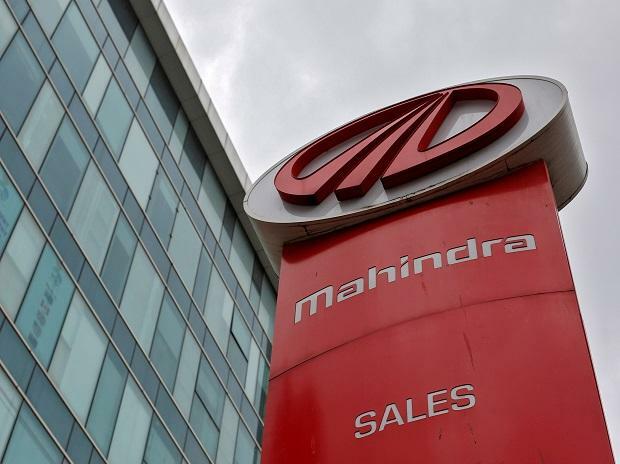 With the implementation of the stricter BSVI emission norms from April 2020, M&M expects prices of large utility vehicles to go up by Rs100,000, Goenka told analysts in an earnings call. Nitesh Sharma, analyst at Philip Capital expects company's margins to remain under pressure. “With slowing tractor sales and cost pressure owing to norms, the company is staring at a tough time ahead,” said Sharma adding that the increase in the prices after the BSVI may hit demand and the company is likely to cede market share in the PV segment.